As I sit in the Amsterdam airport and try to wrap my head around what just happened in the last 11 days, I can’t help but turn the corners of mouth up in a soft smile. I feel like this quote sums up what I experienced this week. In this post, I want to take you through my first day of outreach because it is the most memorable day of my life. 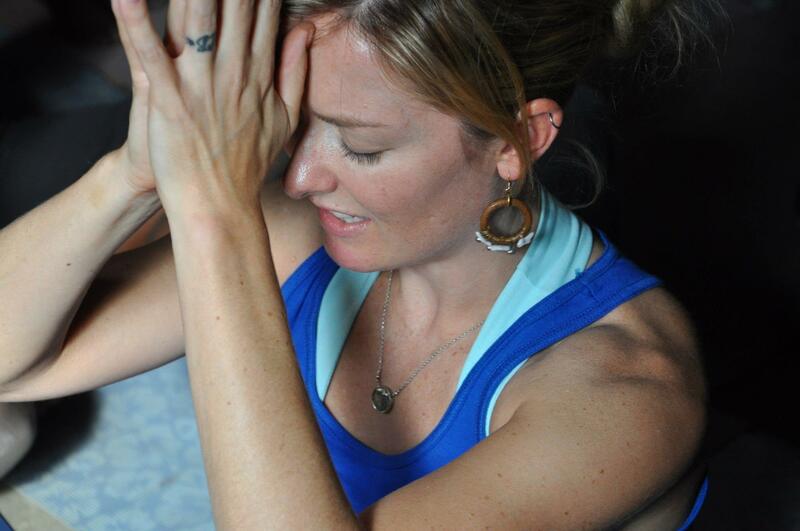 My intention while spending the week with Africa Yoga Project and visiting Kenya was to observe, listen, be open, and to completely allow myself to embrace each emotion that I felt. I wanted to have my own experience and not let the experience of others shape the way I should feel. My first day out in the slums visiting outreach was a mix of emotions. I felt like I was on a rollercoaster sometimes. As we drove to our first destination, my eyes were taking in the reality of these living conditions – tinned single-room homes, dirt roads, overcrowding, lack of water and no electricity, lack of bathrooms, unemployment and pollution. I allowed myself to have the emotions I felt at these visions. I had never seen this much poverty at this level. I had questions come up of how can they survive like this? Being very aware of my way of thinking, I allowed myself to have these thoughts and inquiries, but then let them go. 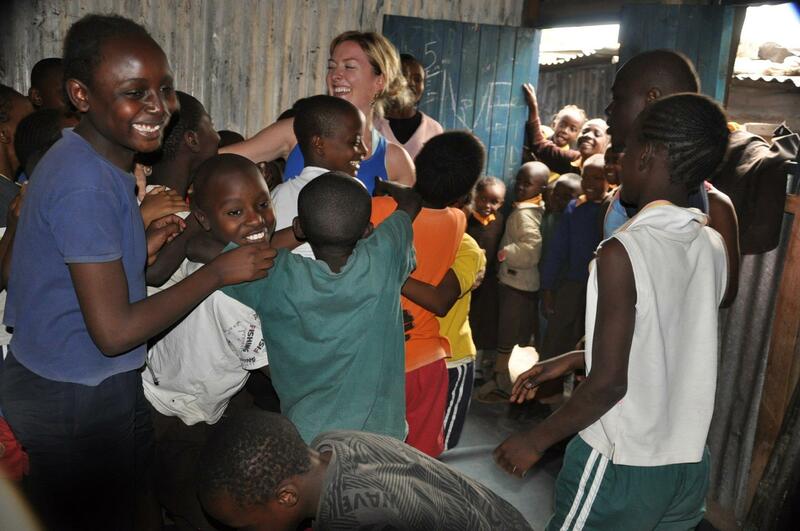 We finally arrived at one of our first outreach classes at Gracious Kideo Primary School in Huruma slums. As I stepped out the car, I was greeted with smiling faces chanting Mzungu, pronounced “muh-zun-goo,” which means white person. I had to giggle when I found out what it meant. It’s kind of catchy – mzungu. I heard that term a lot during the week being blue eyed, blond hair and as white as possible in Africa. After getting some hugs and pats on the hair (they loved to touch my hair), we walked though a narrow, dirt pathway to find the room where yoga was being taught. The room was four walls held up by tin metal sheets (looked like I could blow them over), dirt floors and no electricity. The moment I walked into that classroom and saw the 40 kids practicing yoga with the Africa Yoga Project teachers, I landed. I landed in this experience and on this journey. The space was filled with the contagious energy of joy and happiness. I quickly realized that these kids and youth growing up in the slums are not just surviving. They are LIVING. They are living and creating the best life in their reality and using yoga as a tool to do this. Realizing and experiencing this first hand, I became overwhelmed with happiness. I felt my body tingle with an overwhelming sense of radiance and lightness. A smile planted itself on my face and never left. At this moment, I was at PEACE. Beautiful! I live in Mombasa, on the Kenyan coast and have never heard of this project here. 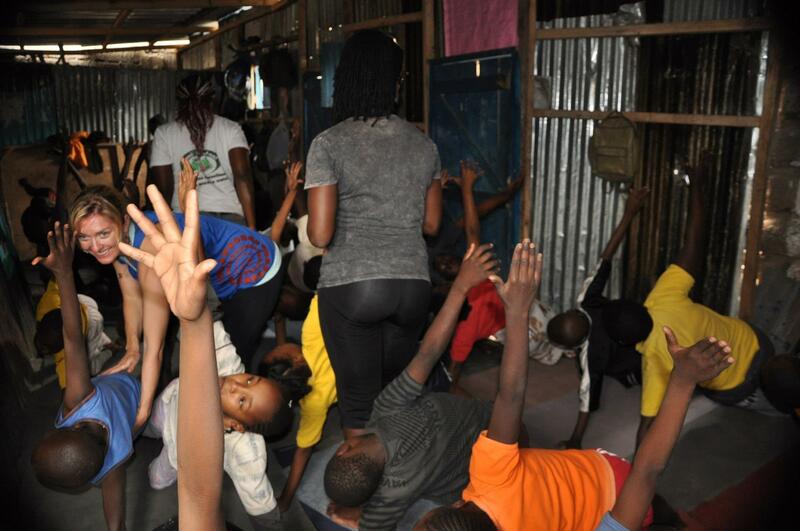 I work with different poor communities and would love to have our people here exposed to yoga. How can I have access to your programs?